Another Hollywood remake of a classic horror, except this time is actually quite good! The story of a town that slowly starts to go crazy because their water supply has been polluted by mistake with some biochemical weapon. 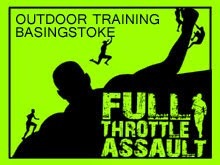 There is suitable build up and tension, with good jumpy bits and equally gory bits! A perfect movie for a wet Sunday afternoon with a bucket of popcorn in the dark! 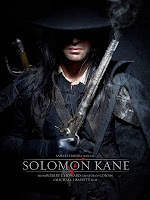 With a severe lack of movies to choose from, we decided to go see Solomon Kane. About a man who's soul was promised to the devil by his father to save his older brother's life. With a great opening fight between Solomon and the Reaper, it promised much, but this was then followed by trudging around in the mud and the rain for about and hour, before the final showdown with the Devil himself. The middle of the film was completely forgettable, and while the 20mins of CGI underworld scrapping was good, it was nowhere near enough to save the movie! The studio obviously hasn't got much faith in the film either, as no official website for it! This film has been getting quite alot of coverage and we were looking forward to seeing it. However what should have been a good werewolf film, was turned into a very slow drawn out mystery/love story about who the wolfman was. This was apart from the fact that about after 20mins into the film you had already guessed who it was, but it takes them over another hour to reveal it! The effects were very similar to American Werewolf in London from 20 odd years ago, except they'd been CGIed, so nothing really special. Apart from that I was twitching waiting to leave the cinema. I'm not sure why film makers are having a hard time making exciting, entertaining films at the moment, instead over average, long obvious plotted ones!